Bob Sheppard, whose elegant intonation as the public-address announcer at Yankee Stadium for more than half a century personified the image of Yankees grandeur, died Sunday at his home in Baldwin, on Long Island. His death was confirmed by his son Paul. Bob Sheppard, whose elegant introductions of stars from Joe DiMaggio to Derek Jeter at Yankee Stadium for more than a half century earned him the nickname "The Voice of God," died Sunday. 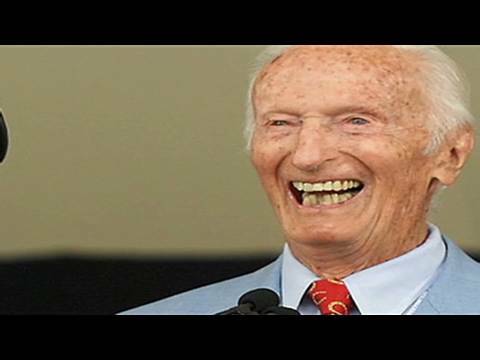 He was 99. The revered public address announcer died at his Long Island home in Baldwin with his wife, Mary, at his side, the Yankees said. 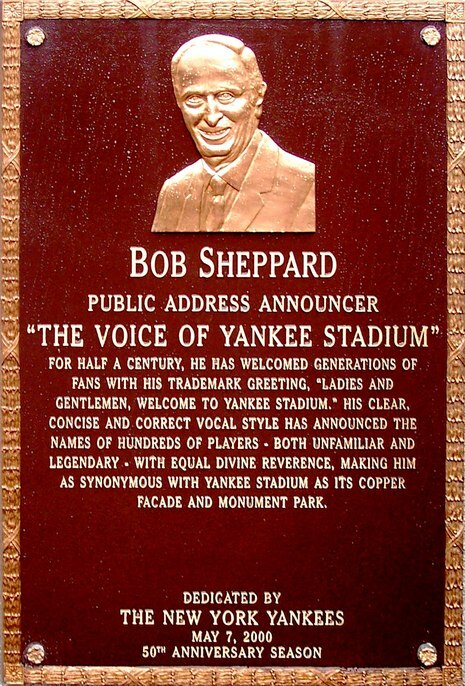 Bob Sheppard, the Yankee Stadium public-address announcer known as the "Voice of God" for his resonant introductions of baseball players from Joe DiMaggio to Derek Jeter, has died. He was 99. 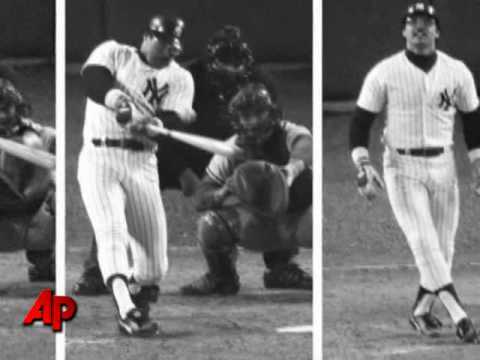 Sheppard died Sunday at his home in Baldwin, N.Y., the Yankees said. No cause was given. 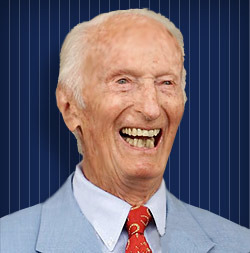 Sheppard debuted at the Yankees' season opener of April 17, 1951, and he was heard at every opening-day game until 2006 when he dislocated his artificial hip.